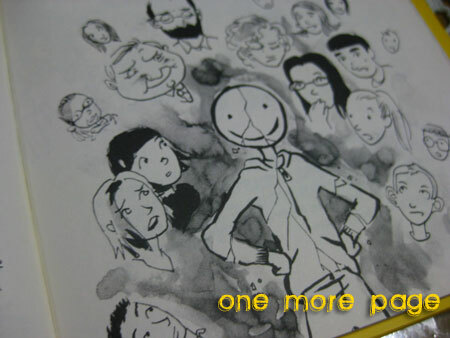 Enter Happyface’s journal and get a peek into the life of a shy, artistic boy who decides to reinvent himself as a happy-go-lucky guy after he moves to a new town. 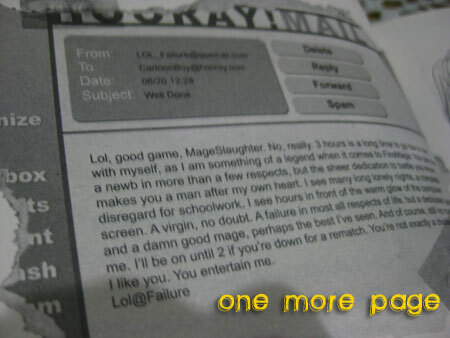 See the world through his hilariously self-deprecating eyes as he learns to shed his comic-book-loving, computer-game playing ways. Join him as he makes new friends, tries to hide from his past, and ultimately learns to face the world with a genuine smile. 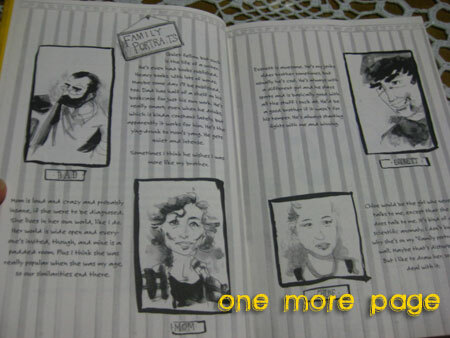 With a fresh and funny combination of text and fully integrated art, Happyface is an original storytelling experience. The bright yellow cover called me the moment I entered the YA section of Fully Booked Eastwood. It was bright, and the smiley made an interesting cover, and when I took a peek inside, I saw that it was a book…with drawings! 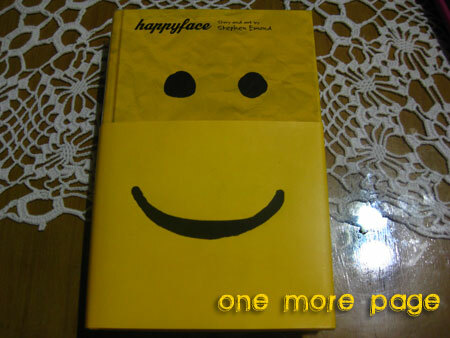 With the half dust jacket, it’s Happyface! This certainly got me very, very curious. 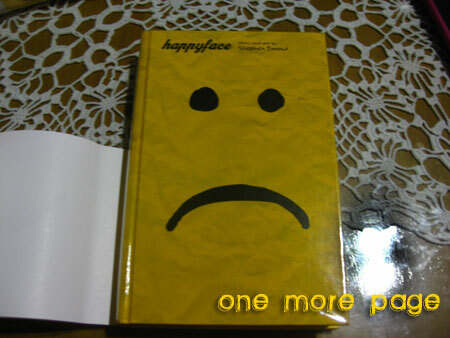 How can a book entitled “Happyface” have a sad face inside? 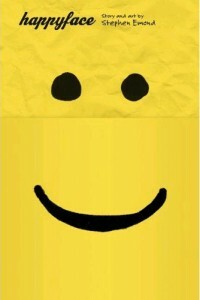 Happyface is the journal of a boy who has been christened Happyface by the girl he likes because of his sense of humor and his happy demeanor. Happyface is a high school sophomore, and a shy, artistic kid who tries to reinvent himself when he moves to a new town. 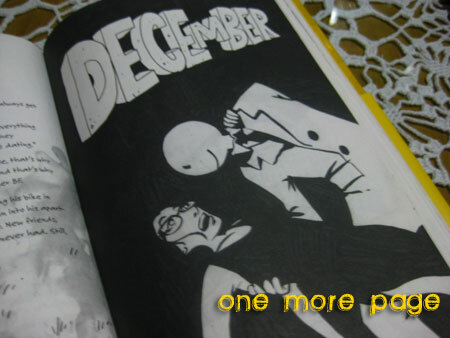 The journal contains the account of the school year, from June to March, as he tries to make friends, ask out the girl he liked and be the happy person that everyone expects him to be. I’m not big on graphics or photos in a novel — I like words more. However, Happyface made me appreciate art (simple as they may be sometimes), and the images were not there just to be there, but they really add to the story. I can’t draw to save my life, so I am immediately in awe of anyone who can draw something that is more than a stick figure. 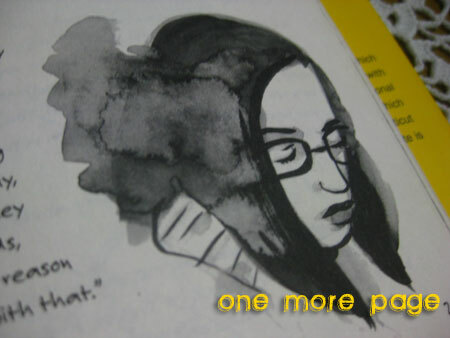 I do wonder sometimes how Happyface can have the time to draw and write — writing is hard enough, but drawing them as well? Wow. Of course, again, I’m not an artist, and I can’t draw, so I can’t exactly say how hard or easy keeping a journal with art is. Perhaps someone can enlighten me? Friend: Hi Tinamats! How are you? Friend: (pauses) Okay. Again. How are you? It’s a defense mechanism, I think. It’s not that I’m never okay, or I lie at the first answer, but it’s become such an instinct to just answer that I am okay, rather than explain why if I am not. Plus I always felt like if I open up and tell them exactly how I am, it’s like I’m laying the burden on them. I figure I’d be of better help to them if I was okay, and I can listen to them better rather than give myself room to rant. I’m happy to say that I am doing my best not to be that way anymore. 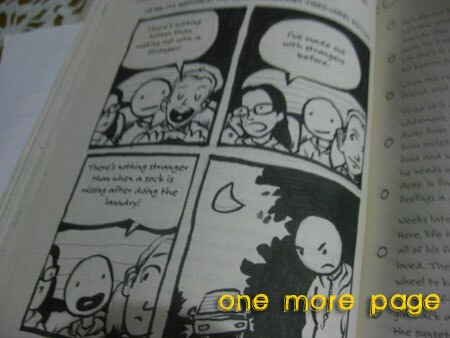 Reading Happyface reminded me of those days, and I really empathized for Happyface in his plight. It’s easy to think Happyface was just a shy, awkward kid who would rather spend time in front of the computer or at home with his comic books and sketch books. It’s easier to think of that because I didn’t think he’s the kind of guy who has serious problems, because he was so cheerful all the time, even to himself, and this book was supposed to be his journal! But as the story went on, we find out what happened to Happyface and his family, why he moved in the first place and how he really, really felt (with some help from alcohol). It’s sad, almost heartbreaking, and now I really understand the presence of the sad face. 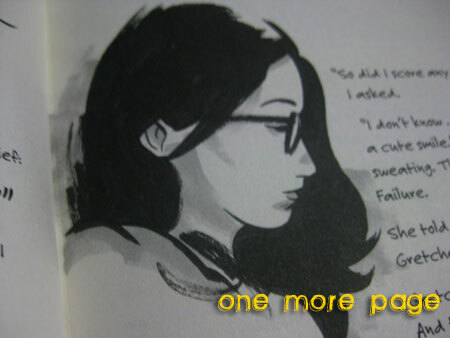 I also love how refreshing a male point of view is in contemporary YA fiction. I am a girl and I appreciate it if I read a girl’s story about life or love or whatever…but let’s face it girls: we can be too whiny and we over think a lot. Happyface’s voice is refreshing and funny, and it’s a relief to read that guys can be awkward and dorky yet be totally sweet all at the same time. Happyface is a fun yet painfully honest journal, not about self discovery, but realizing that everyone of us hides behind our own happy faces. It may not be like how Happyface hides behind his smiles — we may hide behind what we wear, what we eat, what we do, who we date, how we act, but we all hide something, that we are afraid of others to see. Happyface the novel and the character teaches us that it’s okay to (and I quote) “…allow myself to cry or sit by myself when I need to…and find things to really smile about…“ after. I recommend this book to anyone who’s loved The Perks of Being a Wallflower by Stephen Chbosky, or, if you haven’t read that yet, those who can appreciate a good, non-paranormal YA story. My friend Aaron says this sounds similar to what John Green writes, and that I have yet to find out. I’m pretty sure girls will like this book (who doesn’t like reading about sensitive, awkward and geeky guys? :P), but I’d recommend this book more to guys who may have been a Happyface at one point in their life. there are pictures so it wont be boring!